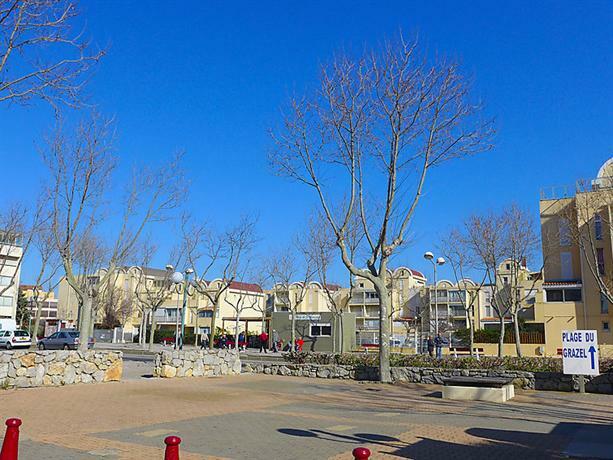 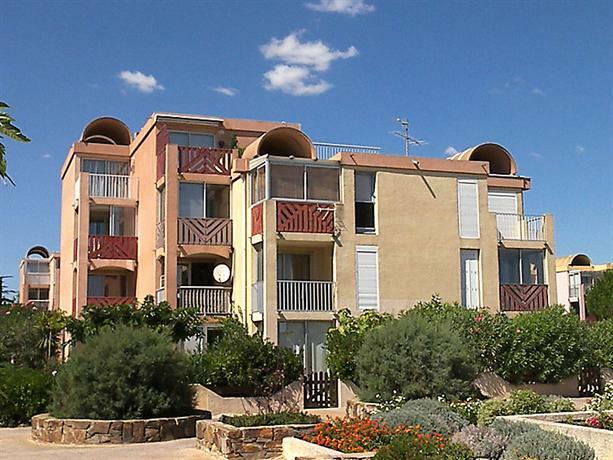 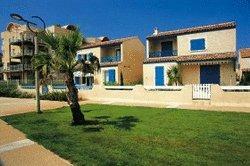 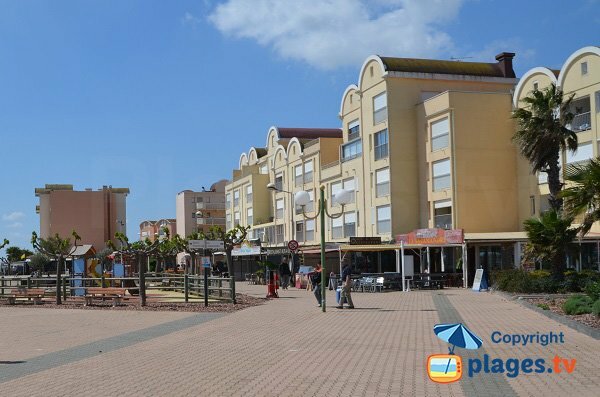 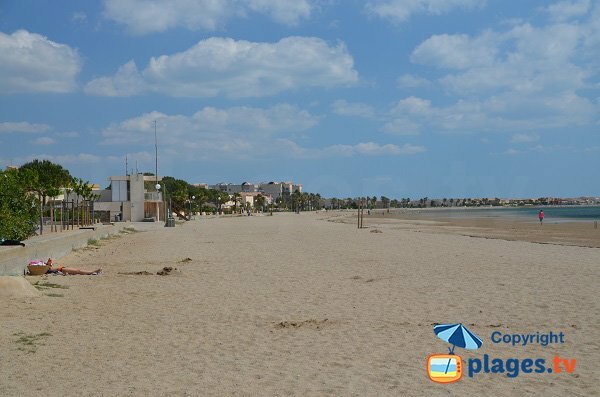 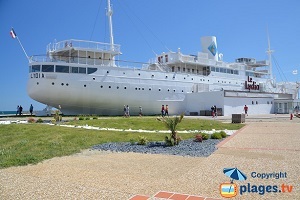 Gruissan’s Grazel Beach is the only beach resort in the city centre. 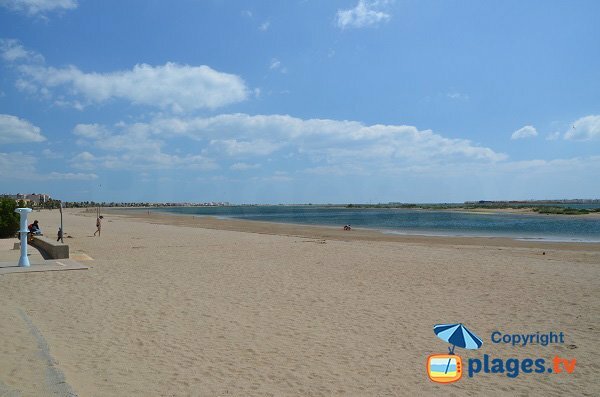 This artificial sandy beach is located in the outer harbour opposite the Ile aux Oiseaux. 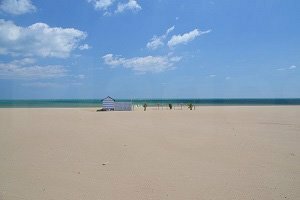 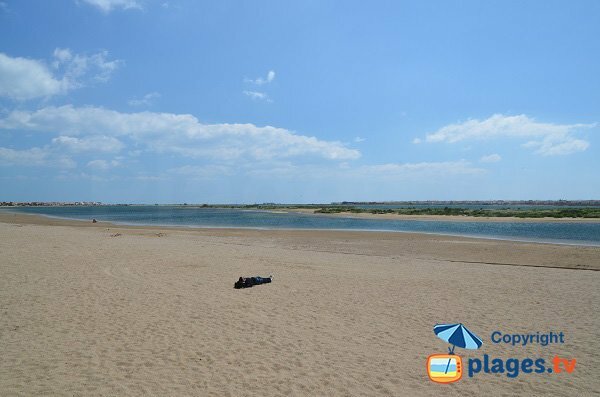 This beach has the advantage of being almost completely enclosed and is therefore similar to a lake. 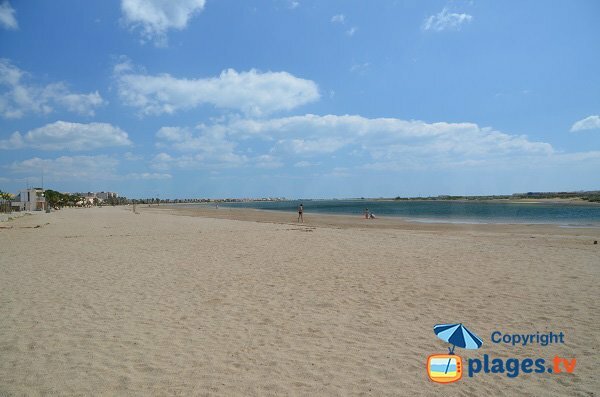 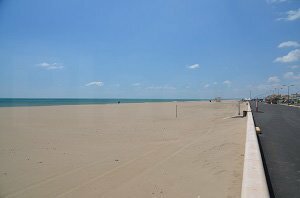 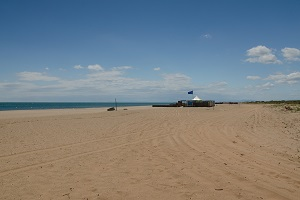 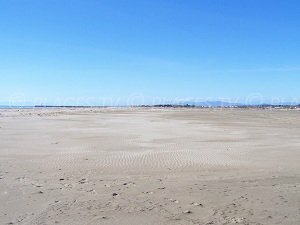 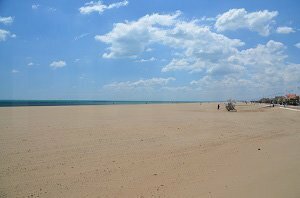 Although the resort of Gruissan is often windy, this beach is always available for swimming (green flag). 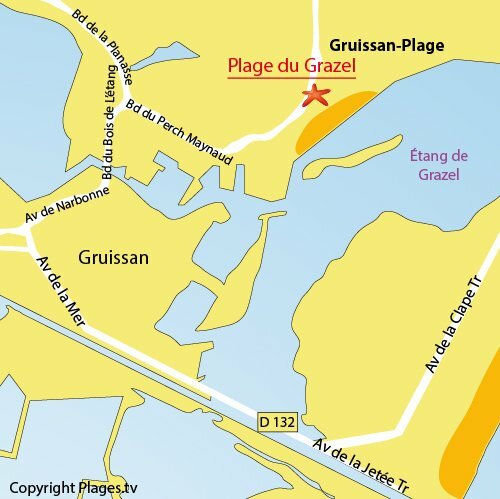 There is a lifeguard station near the Place du Cadran Solaire and access for people with reduced mobility. 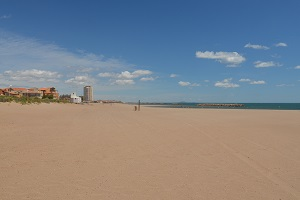 Several free car parks are available near the beach. 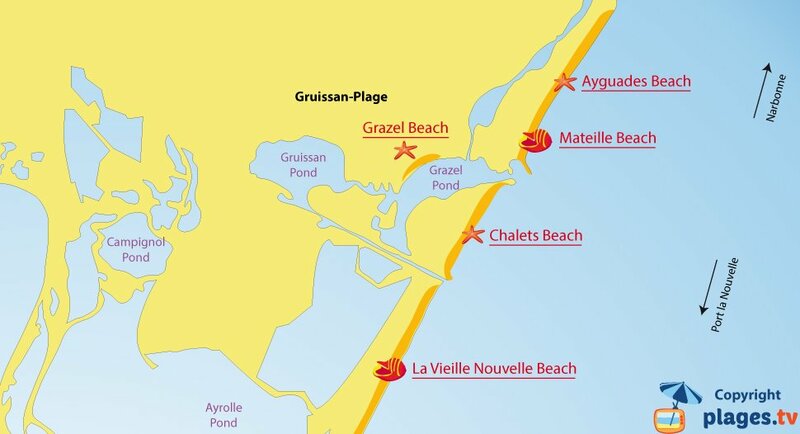 Gruissan Beach is in the area called Avant Port. 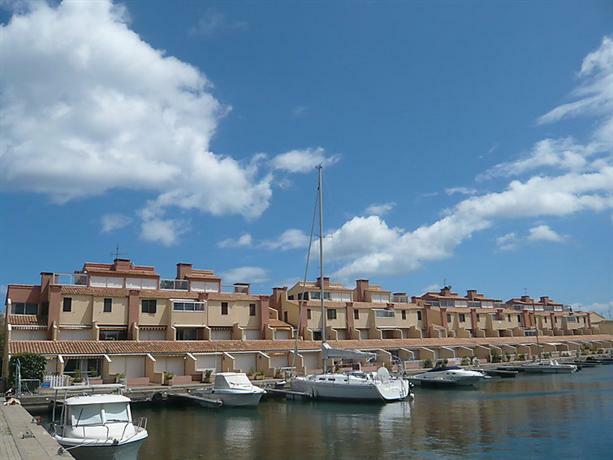 On the edge, there are many houses. 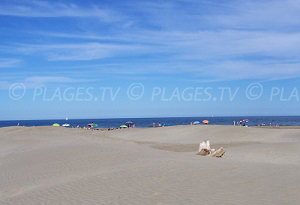 In the foreground, the beach promenade (Quai de la Province de Liège) and in the background, the Gruissan’s Ile aux Oiseaux. 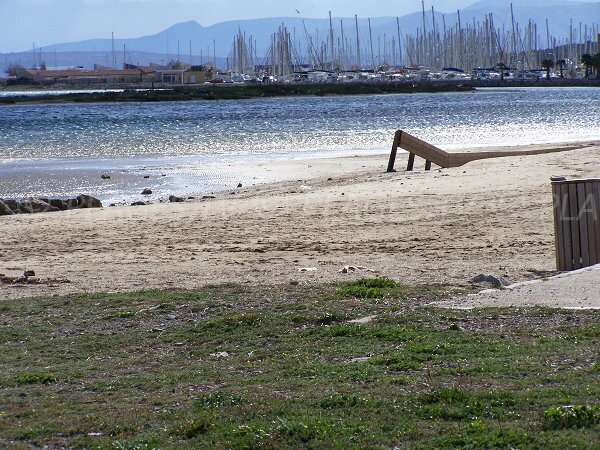 From the end of this beach, a view of Gruissan’s marina.